[quote style=”1″]Sleep is the best meditation. Get Some Sleep! 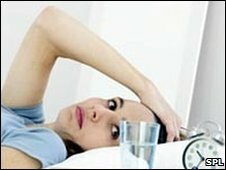 an article relating sleep deprivation and the stresses our bodies where the assert that research has shown there are lots of health ailments related to chronic sleep deprivation, early onset Alzheimer’s being one of them. Police hit by sleep disorders from the ABC (Australia). …The sleep lab girls rise at 7am to see how they go again on the driving simulator and the reaction time test. This will determine how much sleep (or lack of it) affects you. Melissa:Her average reaction time after a sleepless night — 60 percent slower than the day before. Emma:After only four hours sleep, Emma is reacting 15 percent slower. Phoebe: Is four percent slower after a six-hour sleep. Lauren:Shows no change after sleeping for eight hours. In Home Sleep Studies & CPAP Treatment For Apnoea (in Brisbane) and they have Research articles also. [box color=”#948671″ title=”Excerpt from the journal”]Bad news for women who suffer from sleep apnoea. According to a study conducted by researchers at the UCLA School of Nursing, women with sleep apnoea experience a higher degree of brain damage than men with sleep apnoea. 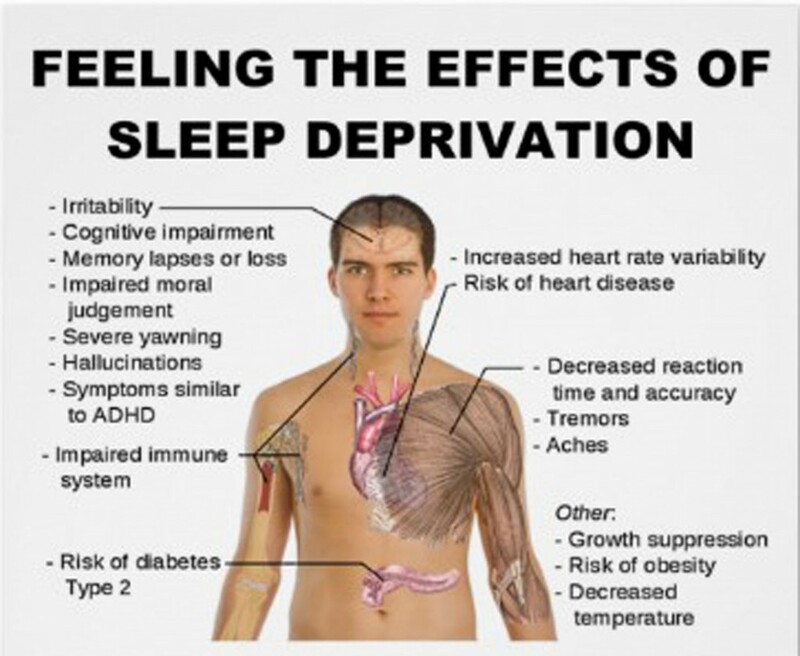 The findings are reported in the December 2012 issue of the peer-reviewed journal, ‘SLEEP’. How Much Sleep Do I Need? By Brandon Peters, M.D., About.com Guide, Updated February 05, 2010. I personally use this app and the key here is understanding potentially how deep your sleep has been and at what times you sleep best. You may also find if starting at 21:00, 22:00 or 23:00 gives you a higher amount of deep sleep. This application also tries to wake you up as close as it can to your more awake moments. It can track your progress and deep sleep percentage, your own comments and notes so that you can improve your chance of a good night’s sleep. [quote style=”1″]A well-spent day brings happy sleep. Sleep Cycle uses your iPhone’s accelerometer to monitor your movements during the night and determine when you’re most likely in and out of a dream state. Before you go to bed, set the app’s alarm clock, then place your iPhone on the corner of your bed (putting it under the fitted sheet will keep it from sliding around). Sleep Cycle isn’t meant to be a scientific tool for people with medical sleep issues, but rather an unobtrusive way to get a little insight into your sleep patterns. Waking up in the lightest sleep phase feels like waking without an alarm clock – it is a natural way to wake up where you feel rested and relaxed. I personally like the application as it allows me to record any metric or feeling that I might have before I sleep and these are customisable. ie. How much I ate, what sort of day I had, how stressed or tired or restless I might be etc. To begin a new path towards healthier sleep and a healthier lifestyle, begin by assessing your own individual needs and habits. See how you respond to different amounts of sleep. Pay careful attention to your mood, energy and health after a poor night’s sleep versus a good one. Ask yourself, “How often do I get a good night’s sleep?” If the answer is “not often”, then you may need to consider changing your sleep habits or consulting a physician or sleep specialist. When Ellen’s family members began this process, they realized that often they weren’t getting what they would call a “good night’s sleep.” This led each of them to reevaluate how much sleep they needed and whether their sleep habits were healthy ones. If you or a family member are experiencing symptoms such as sleepiness during the day or when you expect to be awake and alert, snoring, leg cramps or tingling, gasping or difficulty breathing during sleep, prolonged insomnia or another symptom that is preventing you from sleeping well, you should consult your primary care physician or sleep specialist to determine the underlying cause. You may also try keeping a sleep diary to track your sleep habits over a one- or two-week period and bring the results to your physician. We have listed a number of items you could consider here, some related to NLP and what we might advise in our practice, and some common sense. If you are experiencing difficulty sleeping, you could also contact your friendly NLP Practitioner who may also be able help to find a way to sleep better, having dealt with the underlying cause, whether the cause is known or unknown. This might be the end of it and you move to a better sleeping pattern. 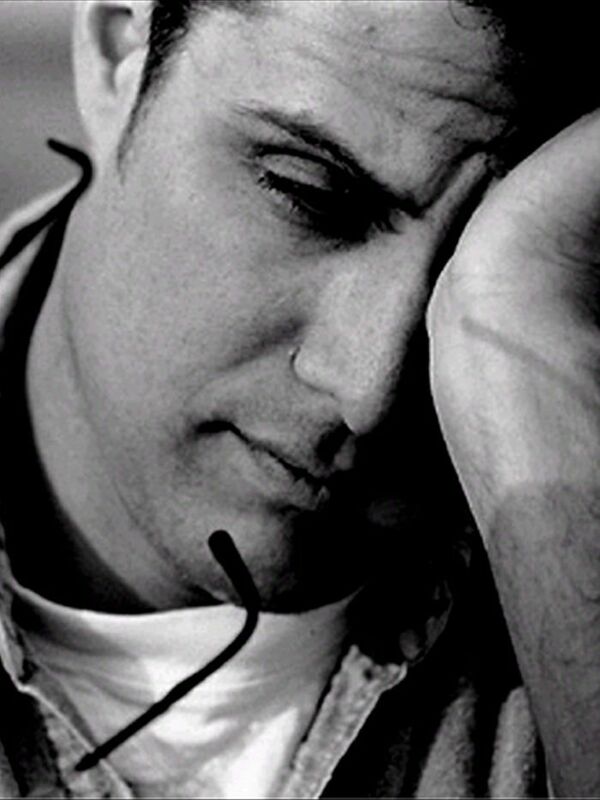 [quote style=”1″]At the end of the day, sleep is a barometer of your emotional health. And so if you’re not in the right place where you need to be, then you’re going to have voices keeping you up at night because you have to work through those issues. We have also had clients that we have taught new ways to breathe in preparation for sleeping. With a wrong perception of what deep breathing, and relaxed breathing and useful breathing might be, a person may continue to show signs of sleep apnoea. This is a possibility, but for chronic sufferers, see a specialised service for this condition. There are many areas that can be looked into during a session. Sleep disorders or troubles can come from so many sources that the possibilities are many. We have had many clients come for something other than sleep, but their sleep is an outcome of fixing an underlying issue elsewhere in their life or body. [quote style=”1″]A man can do only what he can do. But if he does that each day he can sleep at night and do it again the next day. We can also recommend things such as recognising the anchors of what you do and have in your place of sleep and adjusting them if required. This might be learning new ways to let go, leave the day’s troubles behind you, sort out what might be bothering a person in general, how to breathe effectively, how you find relaxation alternatives for your life and other areas we could discuss. There may also be something (a physical item) that is calming that you might want to move into the room. Consider colours and there effect on your relaxation, where some may enhance and some might inhibit a relaxed state that leads to sound sleep. If these items trigger a thought of something you used to do like yoga, walking, meditation, music, singing or something else, consider taking them up again and see if this improves your sleep quality. Also consider the affects of the change of season in your location and whether this is time to change the bedding weight, the windows, A/C, heating or your clothes, time to head to bed and what you do before you go to bed. Observe the animals around you, or the ones you may remember as you grew up. For most animals, nothing gets in the way of their sleep. What can we learn by their habits? Except for nocturnal animals, they probably go to bed earlier, wake earlier, rest when they need to, have a 24 hour routine, find the best spot for their needs, and usually think of good things when they sleep. I don’t think sleep troubles many of them. What can we do differently? Your bed may be too old, not suiting your body type (maybe it never did, or hasn’t recently), or made with material that you are mildly irritated by, but don’t realise it. A lot may have happened in the last 10 years of your life relating to your size, shape and habits too. If any of these are a possibility, you could consider re-looking at what beds are available these days and getting something that suits your current needs. With the rise of allergies in general and in some cases imposed by the materials used in manufacturing beds these days, you could also look at the possibility of moving away from synthetic, uncomfortable and/or heat retaining materials – to natural components such as Wool, Latex, Cotton, Coconut, wood (slats). There are even some B&B’s and hotels that advertise the fact that they have some specific beds that may allow you to try before you buy. We have also recommended that some clients visit their doctor or naturopath (or whatever works for them in their own metaphors for well-being), to see if they have another (medical) underlying cause or if they are in such a state that a sleep deprived person may need some assistance to get a few good nights before they can implement any other changes. You may have a lack of a certain enzyme because of another aspect of your health and the knock-on affect is also your sleep. If this visiting a doctor doesn’t happen by your planning it, it sometimes happens by itself after an ailment or symptom arises, that ensures that the body gets the rest it needs. You can only stay sleep deprived for so long, and the body says enough is enough. Nature has its way of leveling our plans from time to time and it is when our bodies’ defences are down, we need to finally listen and get rest and sleep. If you have waited for your body to go on strike like this (and demand sleep and rest), it will unfortunately be accompanied by other symptoms. Despite the few who claim that they do more and achieve great things with little sleep, the high performers are in my opinion rare. Maybe some get to a deep state of sleep quicker and more often. Few of these also add how often they take a 12 hour sleep once in a while, or suffer from regular ailments. If you are one that has regularly less than 6 hours sleep, assess how this averages out with the long sleeps and how often or adjust for the amount of sickness or periods of poor performance you may experience. Is there are correlation between average sleep time and longevity or other measures? Not sure. So, next time you see someone sleeping, make believe you’re in a science fiction movie. And whisper, ‘The creature is regenerating itself’.